Owning a restaurant brings a lot of new obstacles for any owner to overcome. Sometimes it is finding the right staff, day to day operations and sometimes an obstacle can come in the form of a negative review. It’s a fact of life that there will be positive and negative reviews, but when we do get those negative ones, it is never a pleasant experience. It can be difficult to deal with such reviews, and especially now that there are so many outlets to find them. With the Internet, people are quick to post their negative opinions on different sites for various reasons. Some are so angry their goal is to try and get other people to not eat there or intentionally try to create a bad reputation. In any case, a quick response to all negative reviews is essential to minimizing long term negative effects to the business. Because there are so many different places online that will allow customers to post reviews and opinions, you may find that you have a hard time keeping track of all of them. Places like Yelp or Trip Advisor are often the two most common places that people will review restaurants. At a minimum Yelp and Trip Advisor should be monitored by restaurants on a weekly basis. 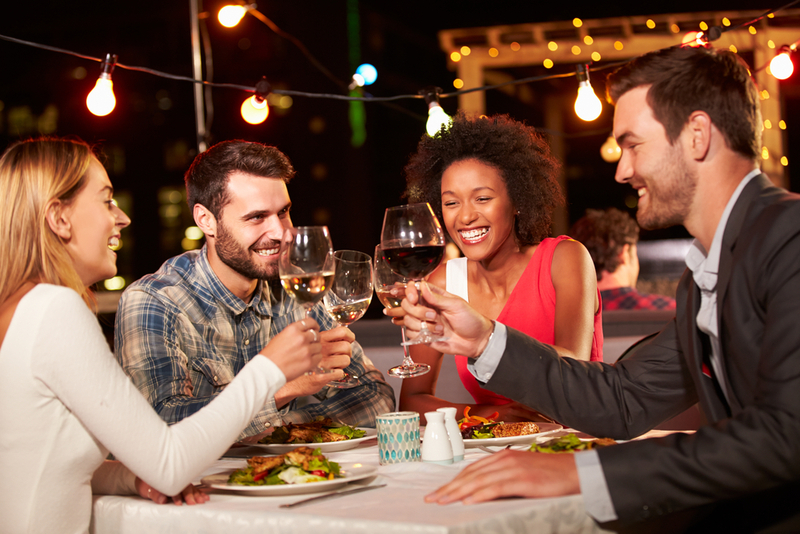 The review monitoring services will alert you anytime a new review has been posted about your restaurant on the leading restaurant review sites. Some of the tools will monitor social postings and also alert you anytime your restaurant has been mentioned. And for chains, some of these services will aggregate all of the online reviews and comments and attempt to analyze the words for “sentiment”. Sentiment analysis attempts to determine overall impressions of a brand or company by aggregating the words that are used and trying to determine the positive or negative intent behind the words that are used. A visual representation of intent is provided by showing the words that are used and varying the size of the words to show the number of times that sentiment is expressed. Today social media is also a very common area where your customers will mention your restaurant in a positive or negative light. It is challenging keeping on top of the “online conversation”. 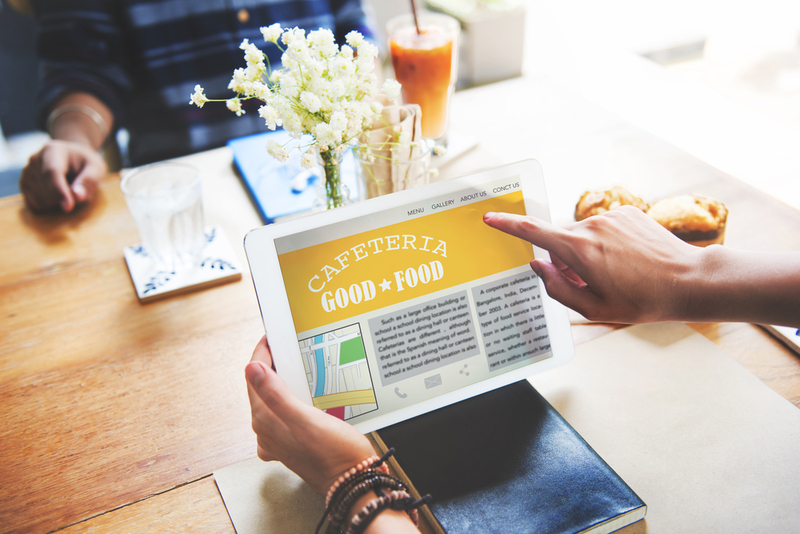 Even when alerted by a monitoring service that your restaurant has been mentioned it can be challenging entering the online conversation. You certainly would not walk into a conversation of perfect strangers and discuss what they happen to be talking about. It is even creepier to even let them know you were listening. 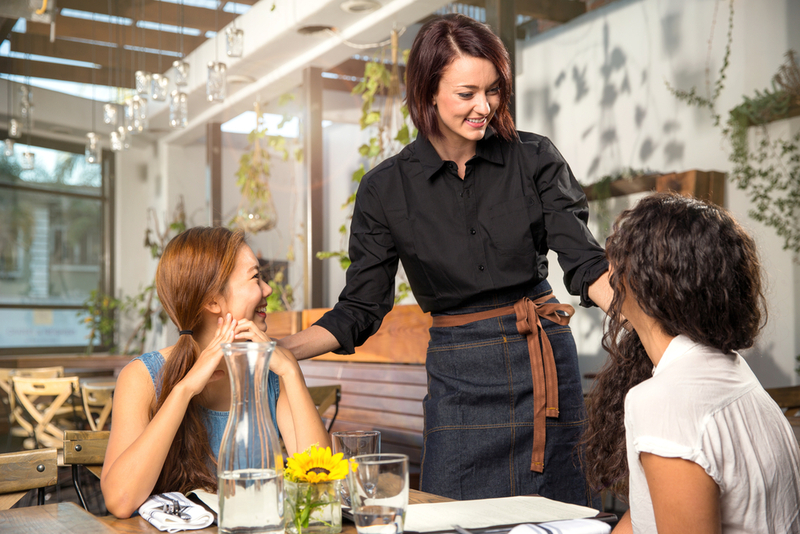 In these cases it is best to just monitor what is being said and look for any problems or issues with your restaurant that may need to be addressed that you were not aware of. If you are skilled at handling customer problems I always recommend personal conversations with customers versus email communication. It is much easier controlling the “tone” of the conversation when speaking with someone versus written words. You will also find that you can accomplish more in a three minute conversation than several back and forth emails. If you prefer email communications then have some prewritten messages that you can cut and paste. Below is an example of an initial email response to a complaining customer. Just be careful to personalize any emails you cut and paste. “Thank you for taking the time to provide us your feedback. I can assure you that we are not pleased that you had a poor experience during your recent visit. I would like to speak to you directly to understand exactly what happened and to correct the situation. Please send me your phone number and the best time to reach you”. In most instances you will want to transition the conversation on review sites and social sites to an “offline” conversation. Publicly address the customer, to show you’re listening and taking care of the problem. Say something like “Let me look into this and follow up with you through email”. We highly recommend with the most negative reviews to try and speak with the customer directly. If you do not have any way to contact the customer directly (email or phone) then ask the customer to email you and provide an email address. I would suggest a “customerservice@?? ?” email address since it is being posted online. When you have made contact with the customer post publicly thanking them for their feedback and you will be taking care of the problem. This shows you’re following through on your word. 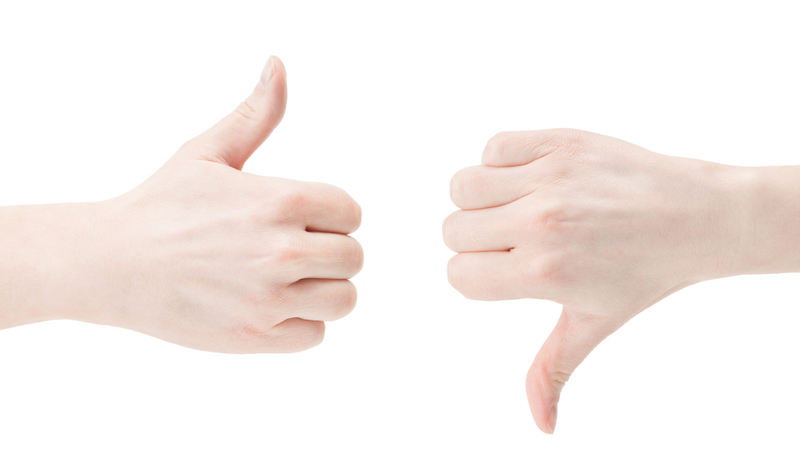 So what exactly should you do then, if you come across a negative review of your restaurant? It is important to act professionally throughout the entire process. It will ensure that you keep a clear head, remain calm, and really think about what it is that you are reading, so then you can act accordingly. Taking the entire process step by step will make sure that you go from start to finish smoothly, really giving you the time that you need to handle it in the best way possible. It is not necessarily a difficult process, but it is one that needs a clear head and a professional attitude. The tips below address the reviews you will find on the online review sites or in social mentions where it is clear the customer is intending that they you like you to hear what they have to say. It is important that you accept that the reviewer is not attacking you personally even though it may feel that way. Rarely, when someone leaves a review on a businesses’ Yelp page, is it meant to be in any sort of attack on the owner. There is a problem solving technique taught in business called triangulate the problem. The technique involves getting on the same side of the table as the customer where both of you are looking at the problem as an issue separate from both you and the reviewer. Basically try to separate personalities from the problem. The technique involves using the word “we” when addressing the problem or issue. simply accept that it is out there online, for anyone to see. As difficult as it can be, it is important to try and read the review from your customer’s perspective. Trying to deny that you have a negative review will not do you any good in the long term. You have to accept that someone did not have a pleasant time eating at your establishment, and that they made some nasty comments about it. Acceptance is always the first part of any process, and when it comes to dealing with a negative review, it is no different. You must see it, believe it, and accept it before you can truly work to change that problem that was mentioned. It is important to remember that in this moment, when you want to respond, do not get defensive. This will only work to escalate things into a level that you may not be able to come back from later. Responding quickly to customer issues is critical. The longer you wait the greater the potential that the issue can take on a life of its own online. Do not be afraid to use the words, “I’m sorry…” when responding to the customer. There is a fear that saying “I’m sorry” is admitting guilt or agreeing with the customer even though you may totally disagree with what has been said. Sometimes just hearing someone from the business to say the simple words, “I’m sorry” is all a customer wants to hear. 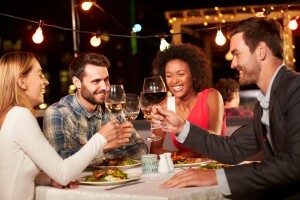 You would be amazed at how just saying those simple words early in the conversation can diffuse the situation and make the conversation that proceeds from that point to be much more civil and productive. Notice that I never said the words that I agree with your comments. You are merely getting on the same side of the table as the customer and both talking about the problem as something separate from both the customer and you. Notice the use of the word “we” twice in the statement above. Your goal is to deal with the problem and leave personalities out of the discussion. Do not use the word “I”. We implies that you will be discussing the problem at a level that both of you will understand and agree on exactly what happened. At this point in the conversation you are all ears. The customer should be doing all of the talking. You should be asking only questions during this part of the conversation. It is important that all of your questions be information gathering. Deal as much as you can with facts and avoid feelings. Clearly the main reason the person wrote their negative review is because of how they felt after the experience. While they will certainly express opinions about how an employee made them feel, try to direct the conversation to the words that were said. Operational problems are much easier to discuss and understand what the problems were. For example: “The bathrooms were filthy.” “I waited 20 minutes before a person took our orders.” “The online ordering site would not allow me to put in special instructions.” Operational problems tend to be more about facts than feelings. In cases of personality issues it will be impossible to determine exactly what was said and more importantly, how it was said. The tone of words and the body language with which those words are said are as important as the words themselves. We recommend identifying the people that were involved from your team. This is not the time to defend your employees and their behavior. Just understand that the truth of the words and the tone will always be somewhere in between what the customer says and what your employee will say when you talk with them about the issue. Clearly there will be a coaching opportunity for your team regarding customer communications. I will guarantee that the customer had some responsibility in the overall tone of the words they used. The fact is no matter how rude the customer may be, it is important for your staff to know that they can always control the words they use. It should be clear to your employees that your expectation is the customer will always say they were spoken to with kindness and respect. Your goal after listening and questioning is to agree with the customer on the “facts”. As I mentioned, operational problems are easier to agree upon. When it comes to feelings or personality issues, the one fact you can always agree on is the customer did not feel good after their most recent experience. Once again notice that I did not agree with the customer. However, there are times you will certainly agree with the customer and there is nothing wrong with letting them know that. After thanking the customer for taking the time to provide feedback, we recommend a simple statement like the one below to move to resolution. There are some customers that there is nothing you can do to get them to come back. In that case be sure to thank them again for taking the time to help you understand exactly what happened. Most customers will be willing to give you another chance. We highly recommend offering them a free meal on their next visit. You can either email them a voucher or ask them when they stop in to see you so you can hand them the voucher. The more you can speak directly to the customer the more you can communicate how important they are to the business. Once you meet them in person, it helps them put a face to a name and you can connect a little more personally. Feedback is always an opportunity to reflect on your business and truly see if things have changed in the business that might have a negative long term impact. As you know, things are always changing in the restaurant business. Most likely you are dealing with new employees and new managers on a regular basis. In addition you are faced with food purchasing decisions that may impact the quality of the food being served. Regularly asking for customer feedback can give you early indications about new personnel hires or food quality. It’s impossible to be at the restaurant all of the time or to keep on top of what customers really think. Feedback can be your eyes and ears to what your customers are experiencing and give you an opportunity to fix problems before they destroy your business. 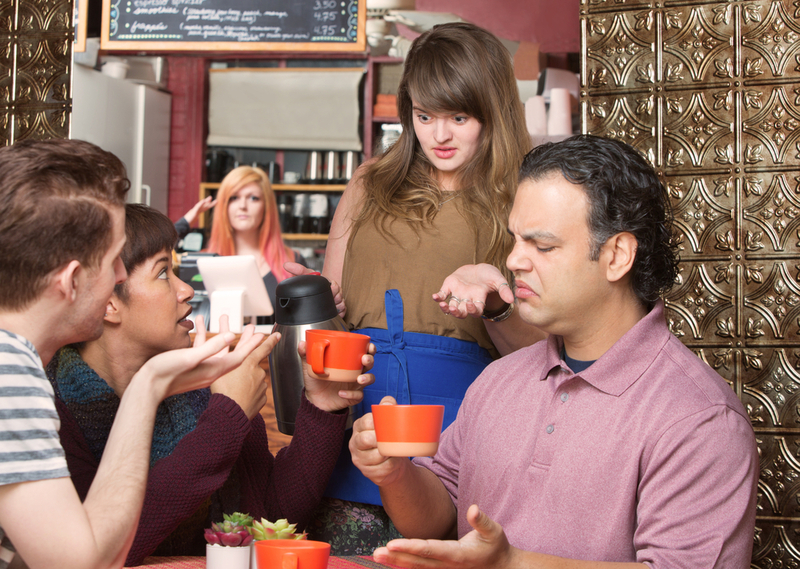 It is important that every restaurant make it clear to customers that they want and encourage feedback. After every transaction there should be a request for feedback either through a URL on customer receipts or comment cards in the folio. On the restaurant’s website a link to customer feedback should be part of the main menu or on the home page and not be buried on the “Contact Us” page where the customer has to hunt for the feedback form. The easier you make it to provide feedback the more likely the customer will be to provide feedback directly to you versus seeking online review sites or social sites to express their dissatisfaction. Direct feedback ensures that you can fix the problem quickly before it blows up online. There have been cases where restaurants have had fake reviews posted by ex-employees or competitors. The situations are rare but do happen. Analyze the review for any “facts” they may state and see whether or not they are true or made up. Most review sites have appeal processes. It can be challenging getting reviews removed but the more facts that you have indicating the review is fake the better case you can make for removal. Do NOT point out online that you think the review is fake. Merely respond to the review indicating you would like to reach out to them privately to discuss the situation. Make two attempts at this process. A fake reviewer will most likely not respond to these attempts. Any business that deals with the public will have stories about how crazy situations can be. There is the 5% of the world we all have to deal with. Luckily most reasonable people also recognize the 5% and discount what they say appropriately. In the end a restaurant’s reputation will be built by the things the business controls. The only way to guarantee long term success is delivering outstanding food and service. If a restaurant can do that the online conversation will take care of itself.